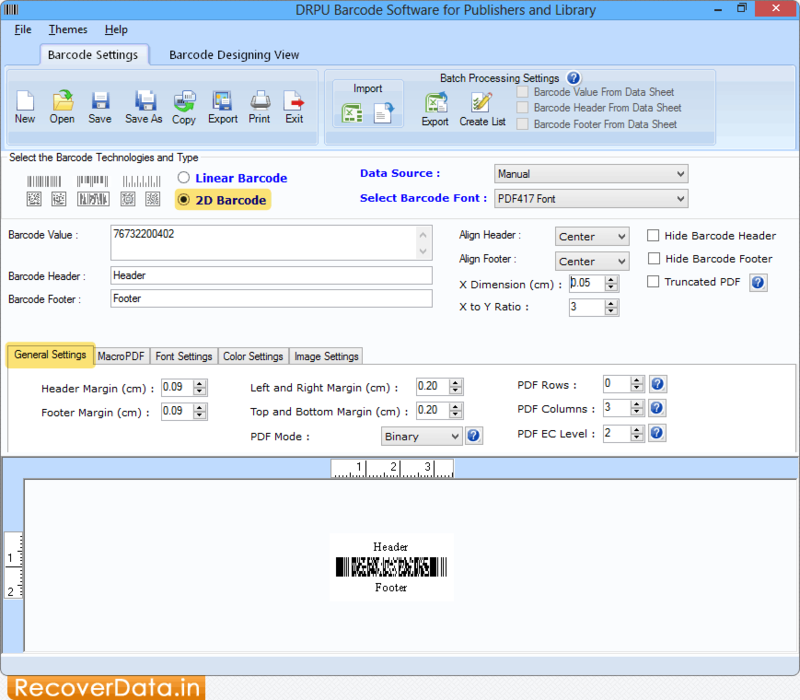 Choose '2D Barcode' option and then set Header Margin, Footer Margin, etc using 'General Settings' tab. 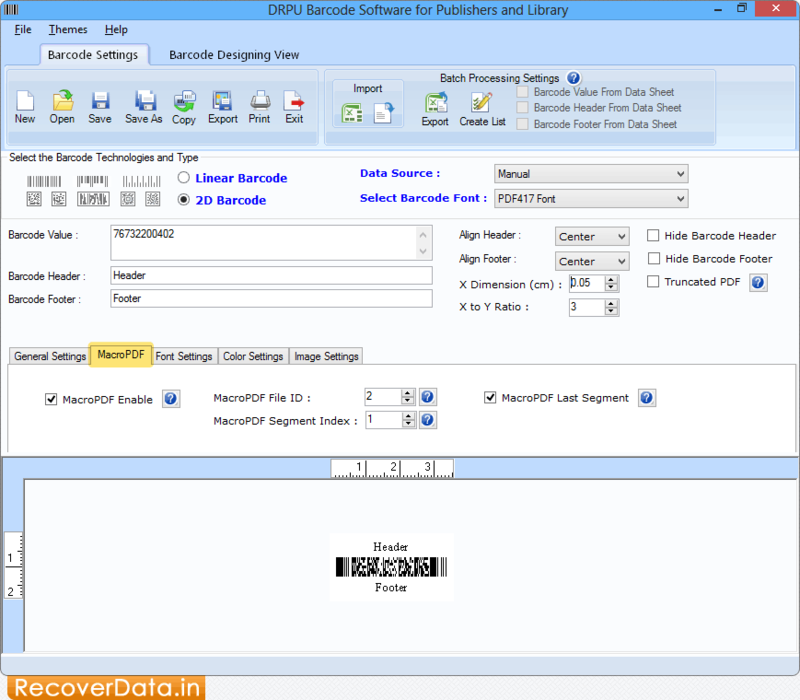 Click on 'MacroPDF' tab to set MacroPDF File ID, MacroPDF Segment Index, etc. 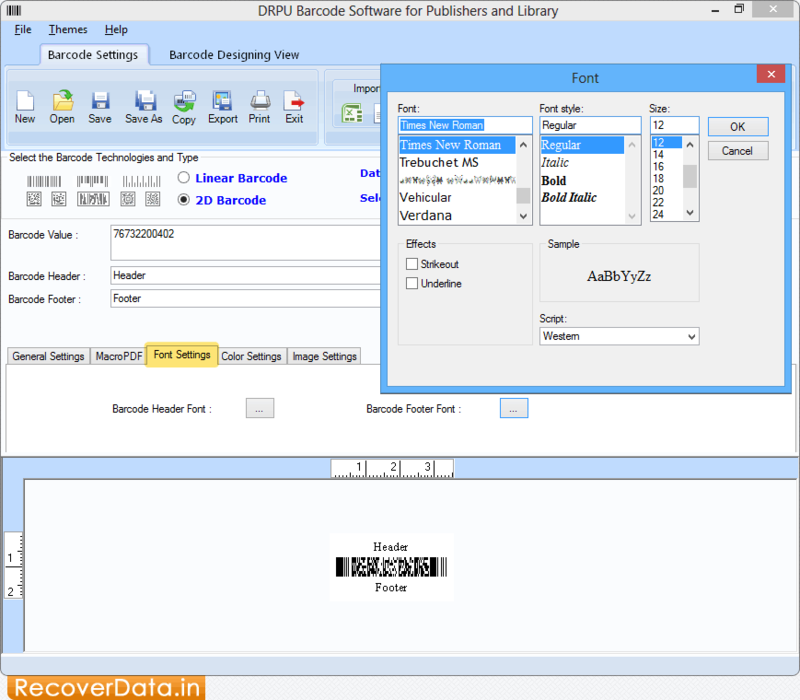 You can choose Font, Font Style and Size for Barcode Header and Footer using 'Font Settings' tab. 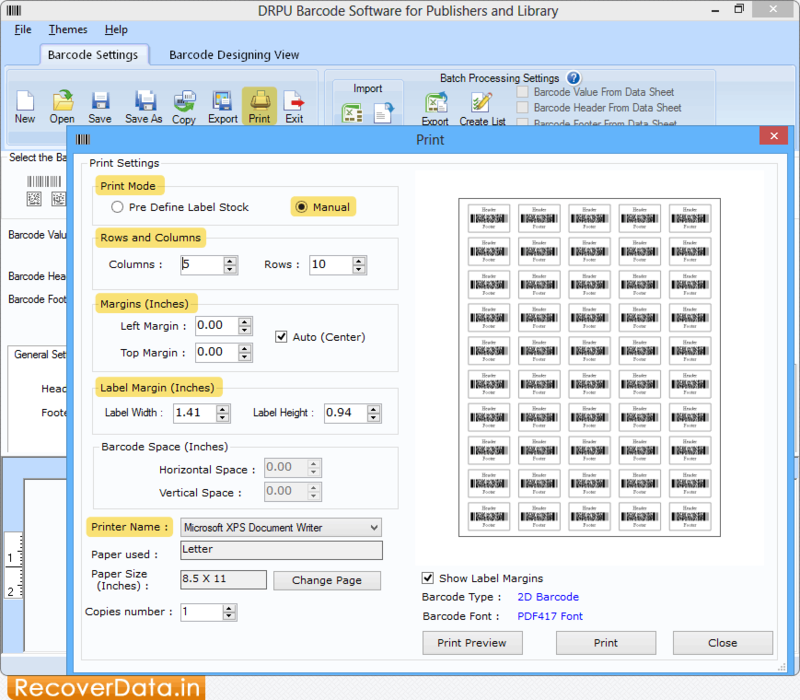 Choose any print mode then specify Rows and Columns, Label Margins. Set printer name, paper used, copies number, etc. and click on 'Print' button to print your label.